As they say, “It’s the most wonderful time of year!” I love the Holiday season for many reasons and one of them happens to be delicious holiday food! 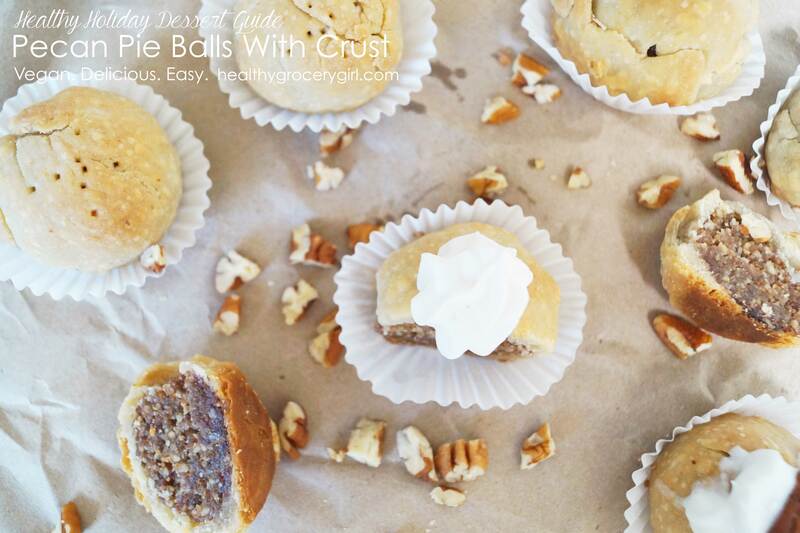 With Thanksgiving right around the corner I am excited to share with you a new recipe, Pecan Pie Balls with or without crust! This is a great dessert idea in addition to or as a fun alternative to traditional holiday pies. This recipe is also vegan so it is naturally dairy-free. If you make this recipe without crust, than it is a gluten-free recipe as well! To learn how to make this recipe watch today’s HGG Show cooking video and view or print the recipe below! This recipe is from Healthy Grocery Girl’s Healthy Holiday Dessert Guide! Get more recipe just like this by click here or visiting the HGG Online Shop page! OPTION ONE: WITHOUT CRUST >> Add pitted date, pecans, coconut oil, cloves and sea salt into a food processor and pulse together until a thick and creamy batter is formed. Roll batter into balls approximately 1-inch thick and transfer to a container and cover with a lid. Let balls set in the fridge for at least one hour. 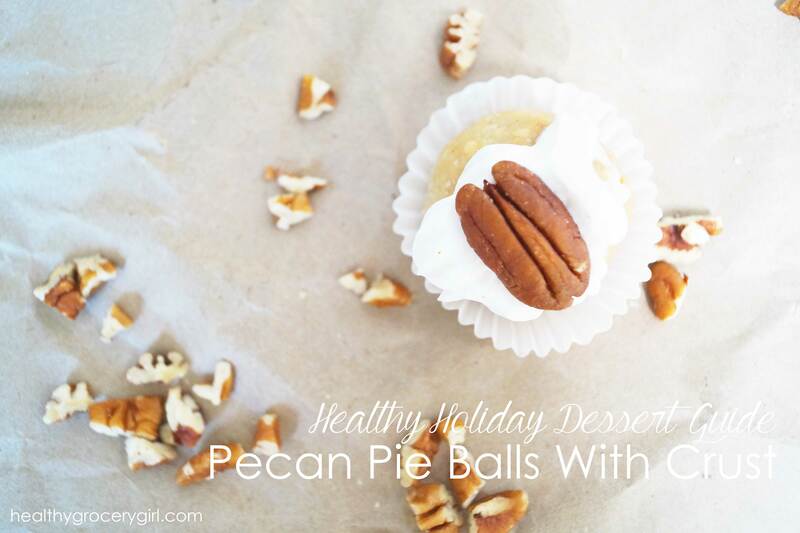 Then, top each ball with a pecan and enjoy immediately or bring to a Holiday Party! OPTION TWO: WITH CRUST>> Preheat the oven to 400 degrees Fahrenheit. You can make pie crust from scratch, and I have an easy vegan recipe in the Healthy Grocery Girl Healthy Holiday Dessert Guide. For store-bought pie crust, look for pie dough. The pie dough I used for this recipe is from the brand Wholly Wholesome, and can be found in the frozen section of the grocery store. I like this pie dough because it is Organic and Vegan. For store-bought pie dough, let thaw for 3 hours and then roll out onto a cutting board. 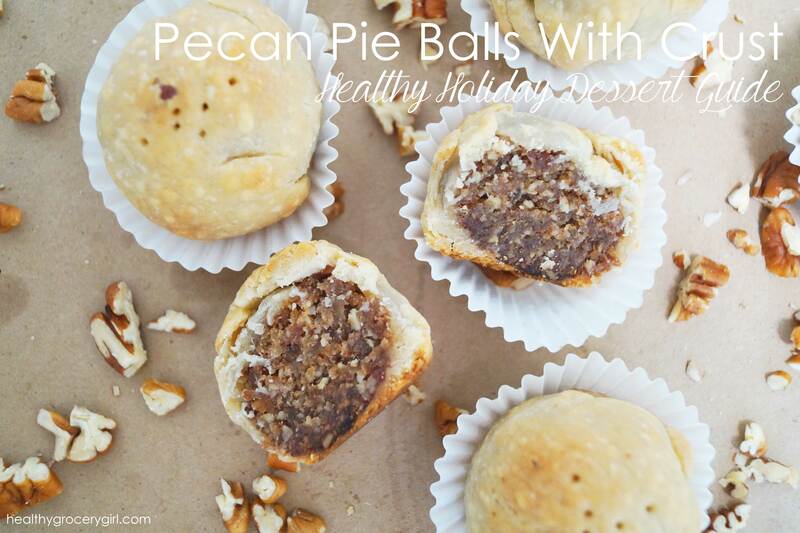 Remove pecan pie balls from the refrigerator. 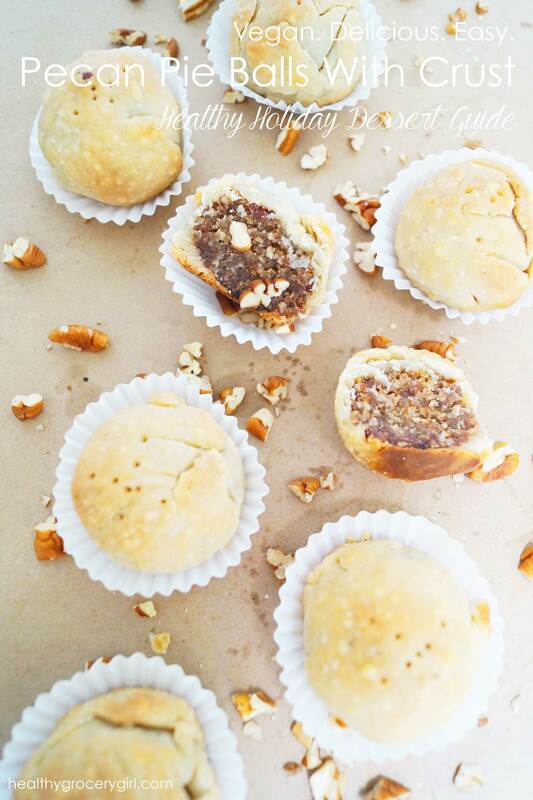 Cut pie dough into squares just large enough to wrap around one pecan pie ball. 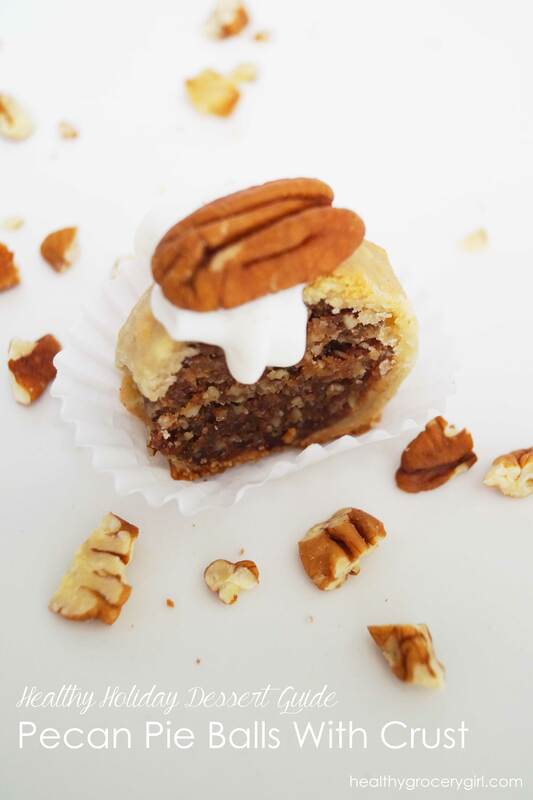 With your hands roll the balls, with the dough on the outside, in a circular motion until the dough becomes even and smooth all around the pecan pie ball. Place on a baking sheet or in a paper liner and poke a few holes in the top of each pie with a fork. Bake in the oven for 15-20 minutes until crust is golden. Let mini pies cool on a wire rack before serving or enjoying! Get More Healthy Holiday Dessert Recipes Just Like This!